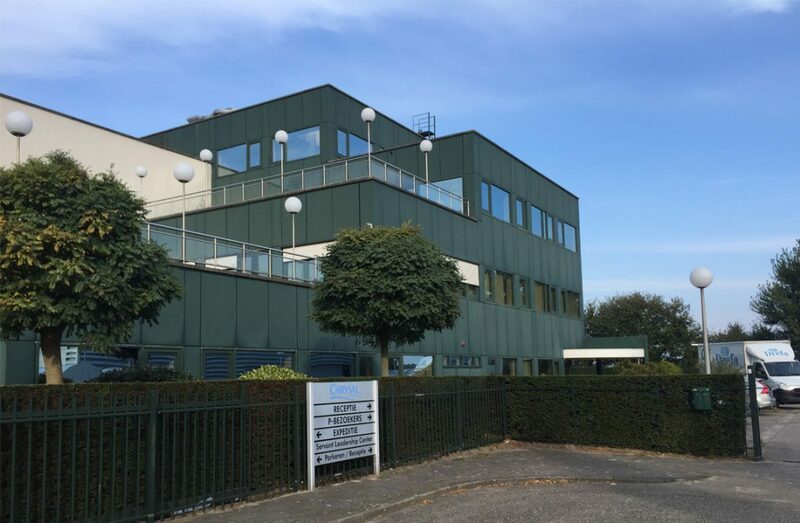 The powder-coated siding of the Pokon building in Naarden was treated by service company KSS & Noord with NITOCOLOUR 1C from MAVRO international. The sheeting of the Pokon building was too strong and too big to apply NITOCOAT. NITOCOLOUR 1C is a very good alternative for extremely weathered surfaces and large surfaces. This unique coating consists of 2 different layers, namely: NITOCOLOUR 1C and NITOCOLOUR PRIMER 1C. Both the primer and the finish layer consist of 1 component. 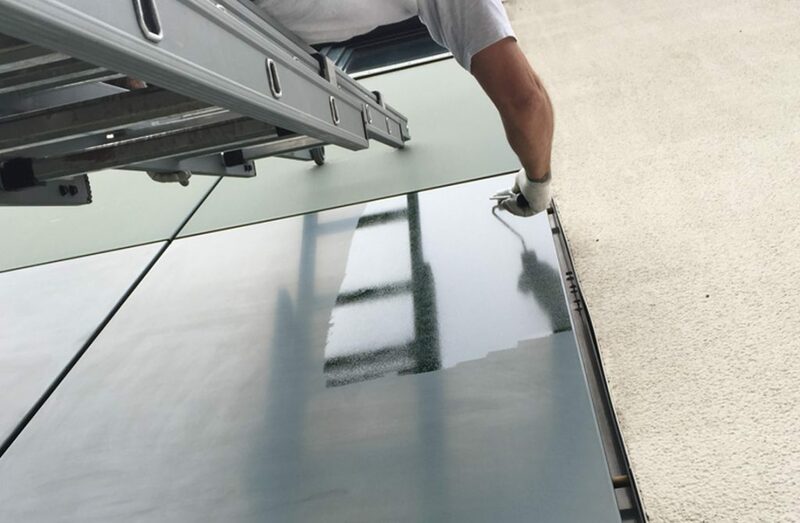 The coating is available in all RAL colors and has a gloss layer. 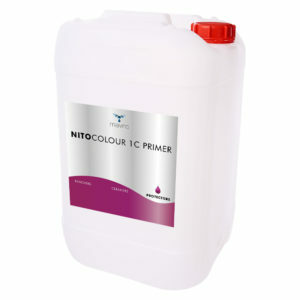 NITOCOLOUR 1C provides protection against all weather conditions and maintains the long-term shine. 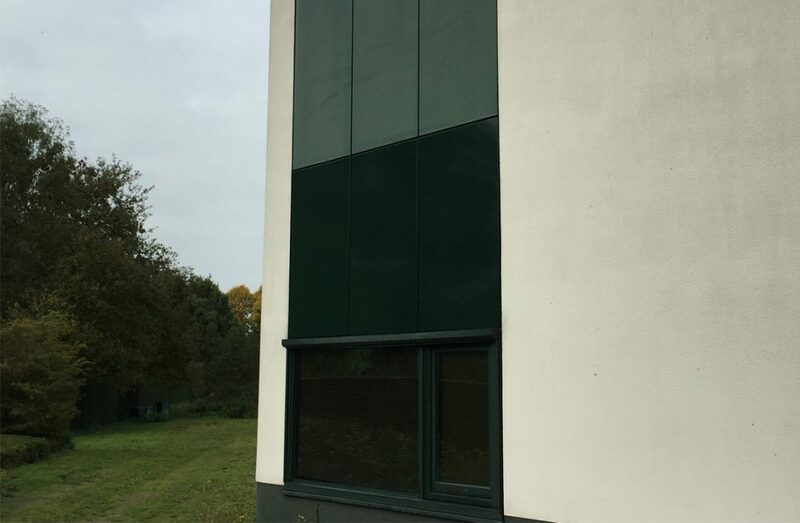 Thanks to the new green finish layer, the building looks as good as new again. Hitro sušeča alkidna smola. Primer ima odlično oprijemljivost na skoraj vse površine. Primer zagotavlja boljšo oprijemljivost za NITOCOLOUR 1C.